The RIMFIRE2, 22 caliber direct thread mount suppressor is mini-suppressor. 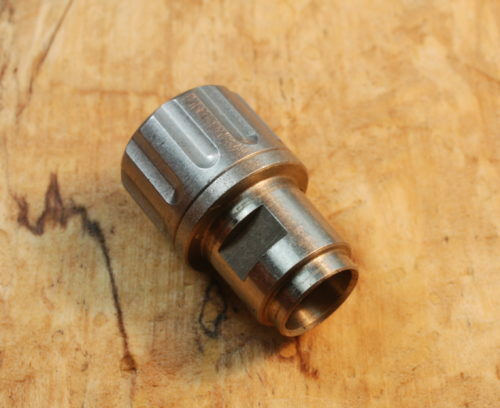 The RIMFIRE2 is approved for use with ANY rimfire cartridge 17 through 22 Mag. The RIMFIRE2 is not the quietest suppressor but it is by far the smallest available. For its size the sound reduction is pretty livable, you do not need to use hearing protection using this suppressor but there is a noticeable pop. The cool factor is way up there with its just over 2 inch total length. We have been building the highest quality suppressors for law enforcement and sportsmen for 10 years. Our company has been built on quality, integrity and customer satisfaction. the person performing the unauthorized modification. without theprior written permission of the copyright owner. aluminum construction exhibits great strength than for prolonged engagements. ammunition that exceed SAAMI or NATO pressure specifications. with the instructions contained in this manual. (4) ONLY use the suppressor completely dry. relief in the barrel at the back of the threads is optional, but recommended. tight onto the threaded barrel. The threads are standard right hand. in burns or melted clothing. 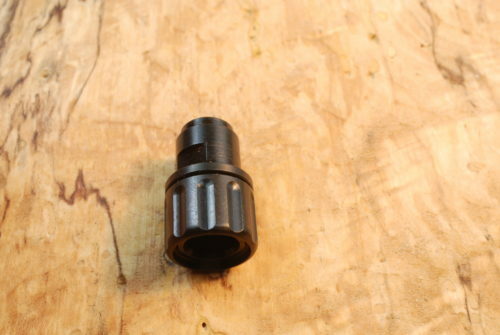 To remove the suppressor, UNSCREW the suppressor and replace the thread protector. All threads, mounting surfaces and alignment surfaces should be inspected and remain clean. They may be cleaned with a brass or nylon brush dipped in mild solvent. under any circumstances, attempt to pass a cleaning patch through the suppressor. MERCHANTABILITY OR FITNESS FOR PARTICULAR PURPOSE. for personal injury, property damage or economic loss. shipping and insurance costs to return the unit to you. proof of ownership satisfied by a photocopy of the front of the owners Form 3, 4, or 5.
to the tube. Tube damage rendering the suppressor unsafe will require a new suppressor. it apart while its still attached to the firearm. the existing threads if necessary. a brass bristle brush until all of the lead and carbon has been removed. of torque. 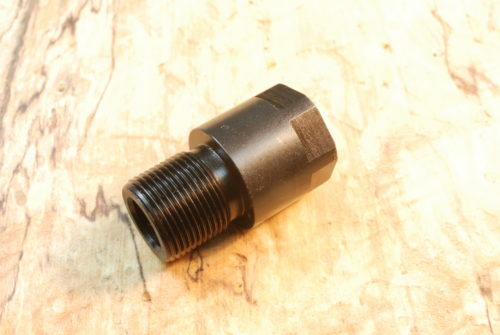 Apply a small amount of anti-seize to the 1/2”-28 mounting threads and remount to your weapon.